The question is no longer which disease cannabis can cure, but which disease can’t it cure? A study published in Nature Reviews-Cancer provides an historic and detailed explanation about how THC and natural cannabinoids counteract cancer, but preserve normal cells. The study by Manuel Guzman of Madrid Spain found that cannabinoids, the active components of marijuana, inhibit tumor growth in laboratory animals. They do so by modulating key cell-signalling pathways, thereby inducing direct growth arrest and death of tumor cells, as well as by inhibiting the growth of blood vessels that supply the tumor. There really is massive proof that the suppression of medical cannabis represents the greatest failure of the institutions of a free society, medicine, journalism, science, and our fundamental values,” said MarijuanaNews.com editor Richard Cowan. Besides the top 10 health benefits below, findings published in the journal PLoS ONE, researchers have now have now discovered that marijuana-like chemicals trigger receptors on human immune cells that can directly inhibit a type of human immuno-deficiency virus (HIV) found in late-stage AIDS. Recent studies have even shown it to be an effective atypical anti-psychotic in treating schizophrenia, a disease many other studies have inconsistently found it causing. Cannabinoids, the active components of marijuana, inhibit tumor growth in laboratory animals and also kill cancer cells. Western governments have known this for a long time yet they continued to suppress the information so that cannabis prohibition and the profits generated by the drug industry proliferated. Tourette’s syndrome is a neurological condition characterized by uncontrollable facial grimaces, tics, and involuntary grunts, snorts and shouts. Dr. Kirsten Mueller-Vahl of the Hanover Medical College in Germany led a team that investigated the effects of chemicals called cannabinols in 12 adult Tourette’s patients. A single dose of the cannabinol produced a significant reduction in symptoms for several hours compared to placebo, the researchers reported. Marijuana is a muscle relaxant and has “antispasmodic” qualities that have proven to be a very effective treatment for seizures. There are actually countless cases of people suffering from seizures that have only been able to function better through the use of marijuana. Since medicinal marijuana was legalized in California, doctors have reported that they have been able to treat more than 300,000 cases of migraines that conventional medicine couldn’t through marijuana. Marijuana’s treatment of glaucoma has been one of the best documented. There isn’t a single valid study that exists that disproves marijuana’s very powerful and popular effects on glaucoma patients. Marijuana’s effects on multiple sclerosis patients became better documented when former talk-show host, Montel Williams began to use pot to treat his MS. 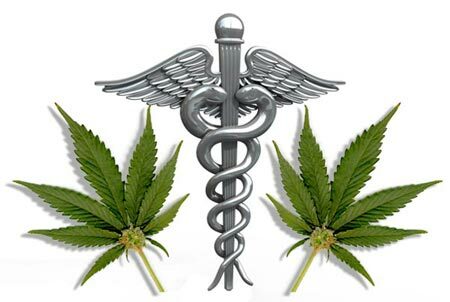 Marijuana works to stop the neurological effects and muscle spasms that come from the fatal disease. A well documented USC study done about a year ago showed that marijuana is not only a perfect alternative for Ritalin but treats the disorder without any of the negative side effects of the pharmaceutical. Marijuana has shown that it can help with symptoms of the chronic diseases as it stops nausea, abdominal pain, and diarrhea. Despite what you may have heard about marijuana’s effects on the brain, the Scripps Institute, in 2006, proved that the THC found in marijuana works to prevent Alzheimer’s by blocking the deposits in the brain that cause the disease. Just like marijuana is used to treat IBS, it can be used to treat the cramps and discomfort that causes PMS symptoms. Using marijuana for PMS actually goes all the way back to Queen Victoria. Cannabinoids can prevent cancer, reduce heart attacks by 66% and insulin dependent diabetes by 58%. Cannabis clinician Dr. William Courtney recommends drinking 4 – 8 ounces of raw flower and leaf juice from any Hemp plant, 5 mg of Cannabidiol (CBD) per kg of body weight, a salad of Hemp seed sprouts and 50 mg of THC taken in 5 daily doses. Why raw? Heat destroys certain enzymes and nutrients in plants. Incorporating raw cannabis allows for a greater availability of those elements. Those who require large amounts of cannabinoids without the psychoactive effects need to look no further than raw cannabis. In this capacity, it can be used at 60 times more tolerance than if it were heated. Raw cannabis is considered by many experts as a dietary essential. As a powerful anti-inflammatory and antioxidant, raw cannabis may be right u there with garlic and tumeric. via PreventDisease. Creative Commons, anyone can use this article as long as all links remain intact.